The Double Leg Stretch is the next part of our program. Its aim is to strengthen your abs and obliques and help stabilize your core, protecting your low back. The Double Leg Stretch helps you keep your body stable while you pull the arms and legs in and out. 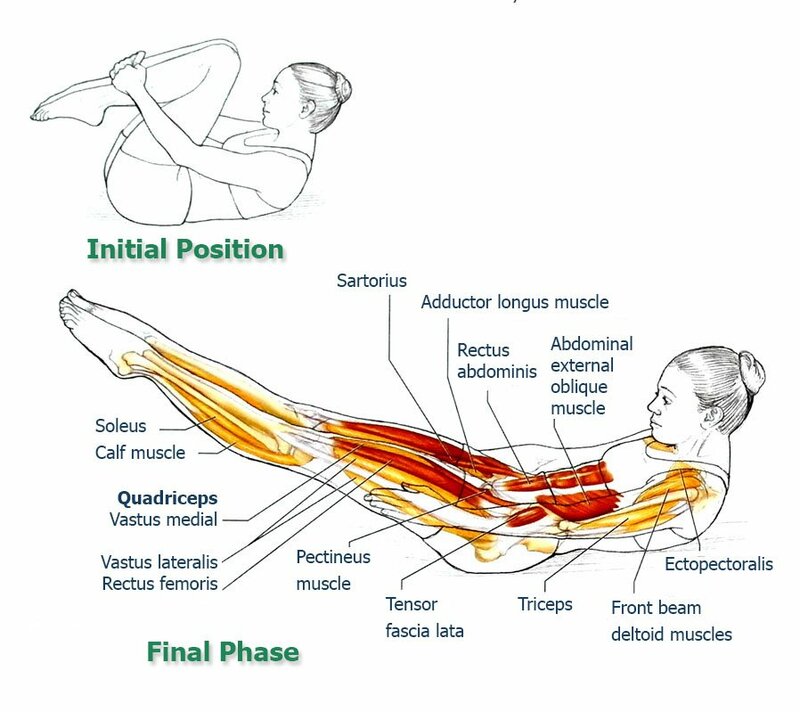 The Double Leg Stretch introduces challenging moves, but if you learn how to perform it correctly your abs will tighten, legs will be strong and relaxed and your lower back safe. Exhale and bend the legs back in toward the chest while the hands return to the starting position on the shins. Repeat the sequence 10 times. Mental image: the movement should have a dynamic reach-and-gather flow. Think of the limbs as springs being extended on the reach phase and then recoiling on the gather phase. Double Leg Stretch represents a large jump in difficulty from One Leg Stretch. In the outstretched position, you have both of the legs held far away from the axis of motion. 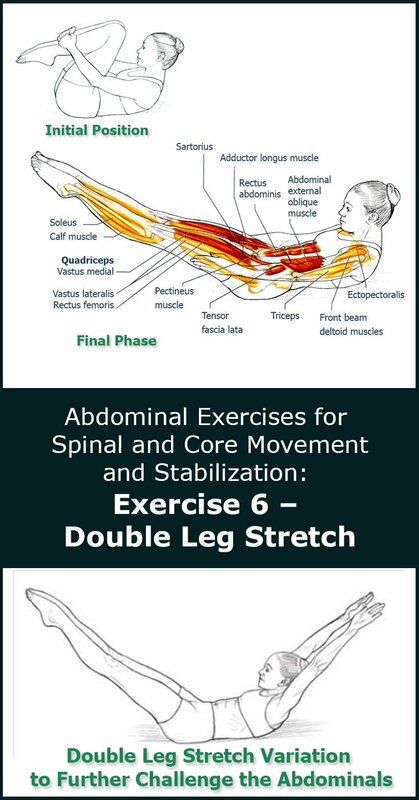 This requires a certain abdominal strength and skill to maintain the desired core stability. While providing a valuable challenge for most, similar to that described for Hundred, this exercise may not be appropriate for many. If having difficulty feel free to use the modification mentioned below. Raise the legs to a height that to allows you to maintain a stable position of the pelvis to avoid arching the lower back. If hamstring tightness is an issue, the legs can be only partially straightened. For a bigger abs challenge, reach the arms overhead as shown on the illustration above. Now circle the arms around to the initial position as the legs reach out and then come back in. You can challenge the abdominals even more by keeping the thighs just beyond vertical when the knees bend and by curling the trunk up higher as described in One Leg Stretch variation.